On Monday 15th February, the minister visited St Julia’s Hospice in Hayle, Cornwall, where he was welcomed by Paul Brinsley, Chief Executive of Cornwall Hospice Care, and toured the facility, meeting frontline staff and patients. Everyone deserves good quality care at the end of their lives whether they die in a hospice, at home or in hospital. I came to St Julia's Hospice today at the request of Derek Thomas MP, who has been campaigning for improved palliative care services in Cornwall. 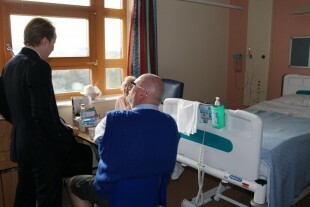 I was privileged to meet some of St Julia's patients today. It was clear to me that staff are delivering fantastic, compassionate care to local people living with life-limiting illnesses. 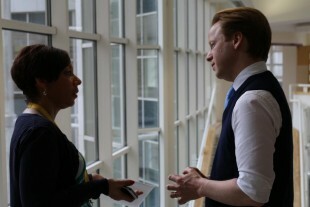 The full Cornwall Hospice Care press release can be found here. 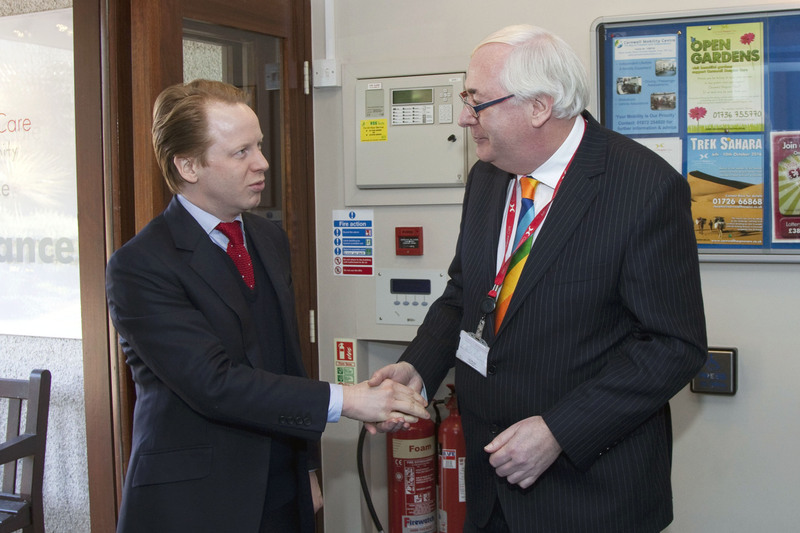 During the afternoon, the minister visited Royal Cornwall Hospital in Truro, where he was welcomed by Andrew MacCallum, Chief Executive, and Dr Jon Andrews, Chairman of Royal Cornwall Hospitals NHS Trust. The minister spent the afternoon shadowing some of the nursing team and meeting with clinical staff in the Emergency Department and on an elderly care ward. Following this, he formally met with the Chief Executive and Chairman, and held a constructive meeting with junior doctors. 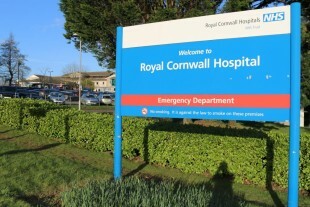 I want to thank the staff at Royal Cornwall Hospitals NHS Trust for the welcome they have given me today and the insight into the progress they are making. 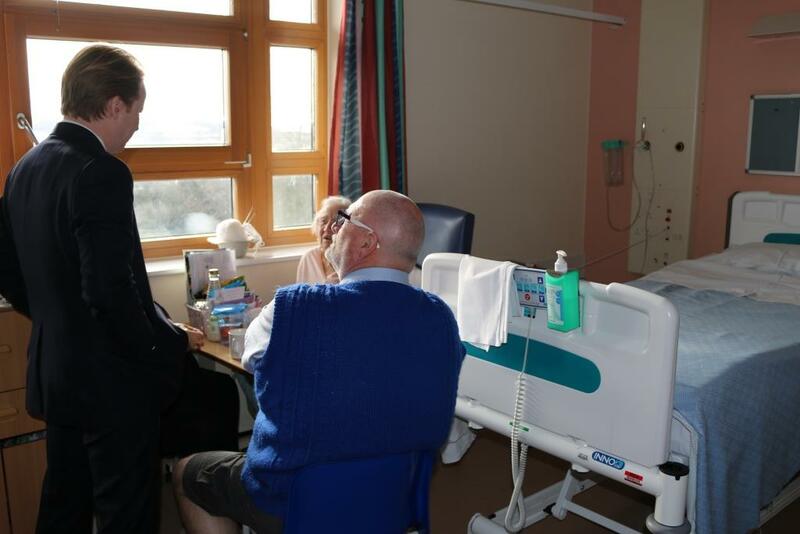 The people of Cornwall and the Isles of Scilly deserve the very best health and social care and want to see improvements in their local services. 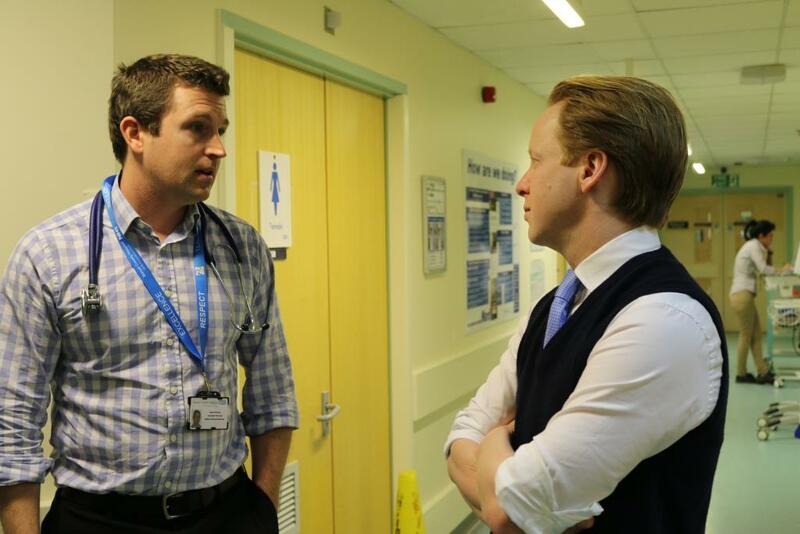 We will continue to ensure investment in areas such as the new birthing centre and neonatal unit in Cornwall and offer national support to help the Trust transform the way it provides care in the years ahead – always putting patient safety and high quality care first. 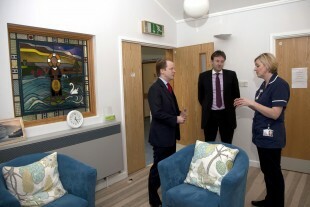 On Tuesday 16th February, the minister visited Livewell South West, an independent social enterprise (Community Interest Company) providing integrated health and social care services for people in Plymouth, South Hams and West Devon as well as some specialist services for those living in Devon and Cornwall. Keen to understand how services have developed since the organisation formed as a Community Interest Company in October 2011, the minister talked to staff and patients at the Local Care Centre, Mount Gould Hospital, and was particularly keen to hear about how they are thinking differently about how they recruit and retain their staff. It has been a pleasure to visit Livewell South West. 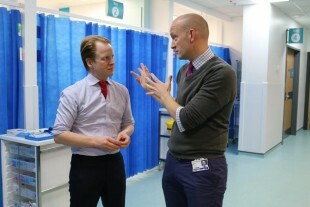 Like the NHS, high quality patient care is clearly their number one priority. 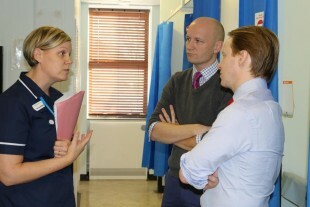 But what particularly impressed me was how empowered staff are - to constantly improve the quality of care they deliver, take up exciting career opportunities and feel part of the organisation. 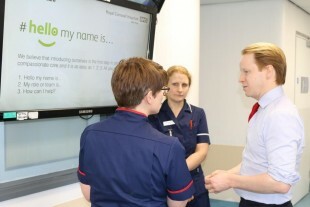 This is helping to not only retain a committed workforce, but meet the healthcare demand of the local community“. 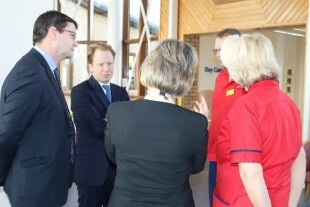 During the afternoon, the minister visited Tiverton and District Hospital in Devon, where he was welcomed by Angela Pedder, Chief Executive of Royal Devon and Exeter NHS Foundation Trust, and Alison Diamond, Chief Executive of Northern Devon Healthcare NHS Trust, and carried out a number of roundtable discussions with local NHS leaders to review the progress and challenges of the North West and East Devon Success Regime. 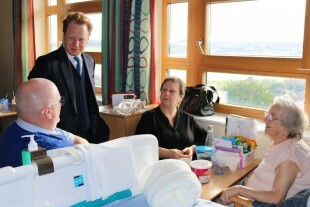 He also took part in a brief tour of Tiverton Hospital, where he had the opportunity to meet with patients. 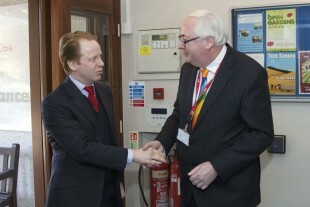 On Wednesday 17th February, the minister visited Dorset County Hospital in Dorchester during the morning. 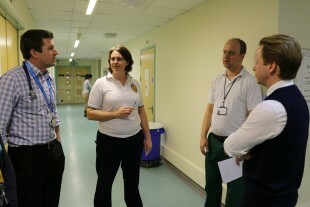 He was welcomed by Patricia Miller, Chief Executive, and Paul Lear, Medical Director. 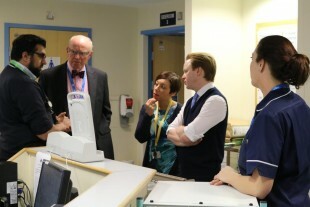 The minister had the opportunity to meet with patients and staff on the Ilchester Ward and on the Day Lewis Ward, an Older People’s Assessment Unit, whilst hearing how they have rolled out seven day services. Really inspiring visit to see team @DCHFT - living 7 day services: great clinicians with great leadership delivering care close to home. 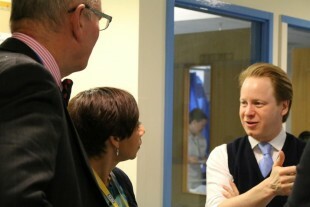 Finally, during the afternoon, the minister visited Southampton General Hospital, where he was welcomed by Fiona Dalton, Chief Executive, and Caroline Marshall, Chief Operating Officer of University Hospital Southampton NHS Foundation Trust. During the visit he met with clinicians from a range of specialities, to find out how seven day working has transformed the services the trust is providing to the local community. 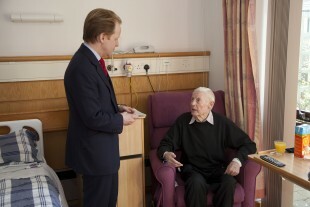 The minister also met a patient who has been treated by the out of hours service. Photos from the tour of the South and South West of England can be found below.